IF YOUR BIRTHDATE IS JANUARY 9, you could practice being more tolerant. Read on to know more about famous January 9 birthdays. 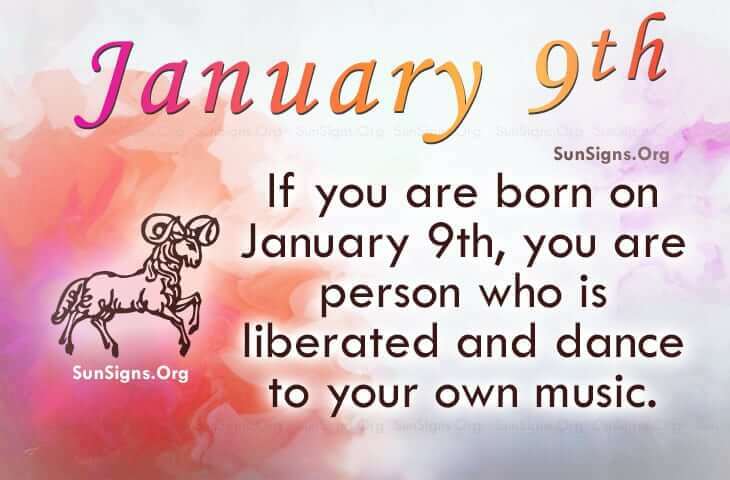 Famous people born on January 9 can’t control every aspect of life as life throws many obstacles and hurdles. They are designed to make us stronger and the rewards of accomplishing something that we thought was impossible are great. The famous Capricorn born on January 9th have awesome skills which can be used to speak to people. They are optimistic and complex and able to motivate others. Being a person who is liberated, they dance to their own music. When it comes to affairs of the heart, famous January 9 birthday personalities could use some help. I mean, they just are a little reluctant to let anyone get close to their heart. Perhaps talking to an older and wiser person will shed some light on relationships. They seem to have high regard for those who are knowledgeable and dear. Their advice may come in handy, too, in areas of money management. Famous people born on 9th January are great with numbers but not necessarily with their own bank account. They have self-control. They just need to use it. The astrology sign Capricorn suggests that the famous born on the 9th of January are impulsive, impatient and gifted. This shy individual wants a faithful partner. The January 9 famous birth date analysis reveals that they respect authority.